Save time by using this trick to prefill data on forms. Let’s say you want to make it as easy as possible for users of your Wufoo form to submit it multiple times. 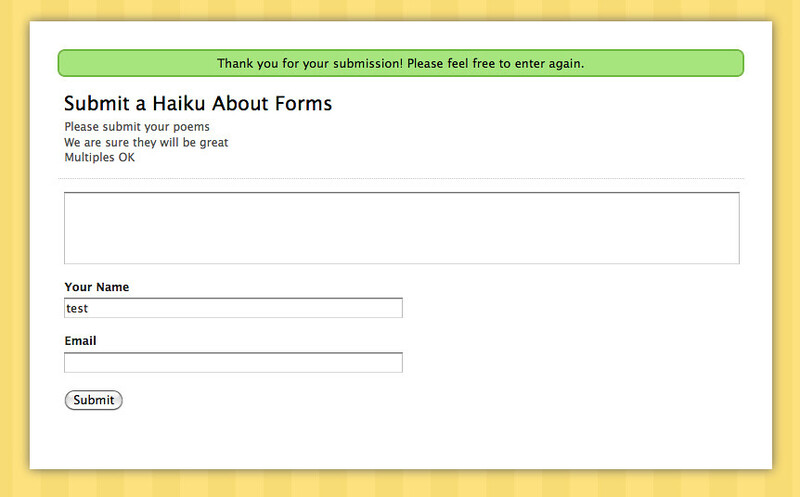 Perhaps you are having a Haiku writing contest and your form is for submitting those Haikus. You say that multiple submissions are encouraged and to drive that home, you set the redirect URL right back to the form itself. But when that form loads again, the fields will be blank or filled with their predefined values. That’s not being as helpful as you could be! After all, they just filled out their name and email address, can’t the form remember that? There is a way! 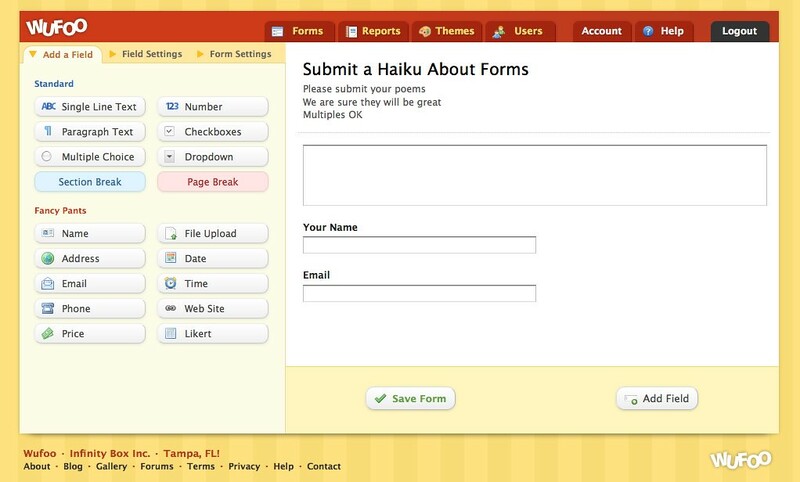 If you need help creating new forms, check out our form creation documentation. 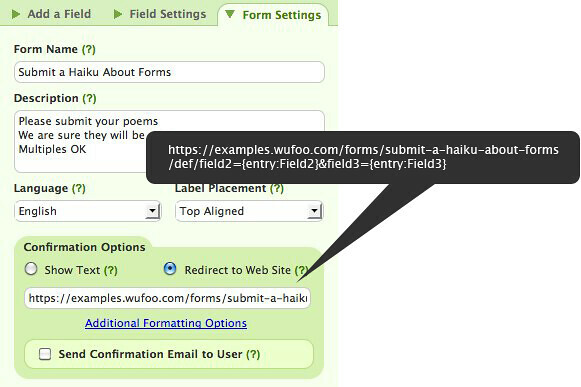 If you are using your form directly on Wufoo.com, as shown in the callout below, you will need to use the URL parameters method for prefilling your form. You can prefill fields by appending to the URL specifying the field and what value you would like prefilled. Each field has a specific ID. To figure out which field has which ID, click the Code button while hovering over your form in the Form Manager. Then click the API Information button. To learn more, check out our documentation on URL modifications. If you are using the iframe embed method, you can use the URL structure as described in Step 2a to append to the URL of the iframe src attribute, filling the values with the same $_GET method as above. Unfortunately if you are redirecting directly to your form on Wufoo.com, you won’t be able to display a thank you message. However, if you are embedding the form on your own site, you can. Just have the page watch for the presence of one of those URL parameters, if it is present, then display the thank you message.